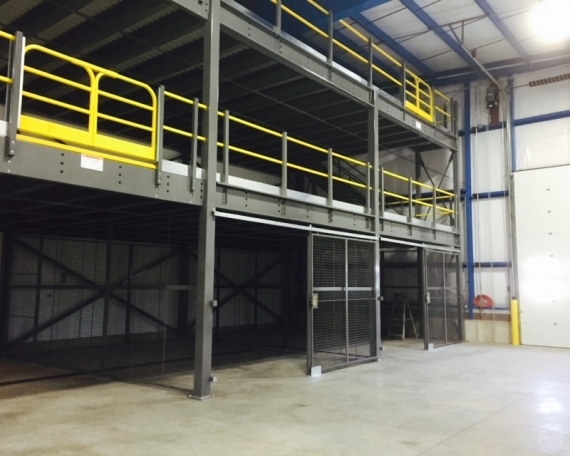 Oasis Foods, a large condiment manufacturer for wholesalers, distributors, bakeries, and chain restaurants around the country, originally contacted Grace Material Handling for a Cogan mezzanine structure to increase their space in their maintenance department. 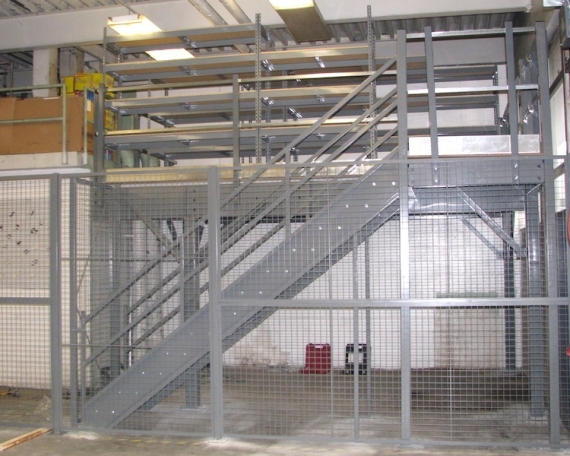 Not long after, they contacted us once more for a second Cogan mezzanine and for assistance in securing valuable items that were stored on their Cogan mezzanine. 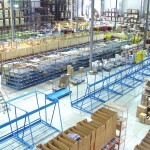 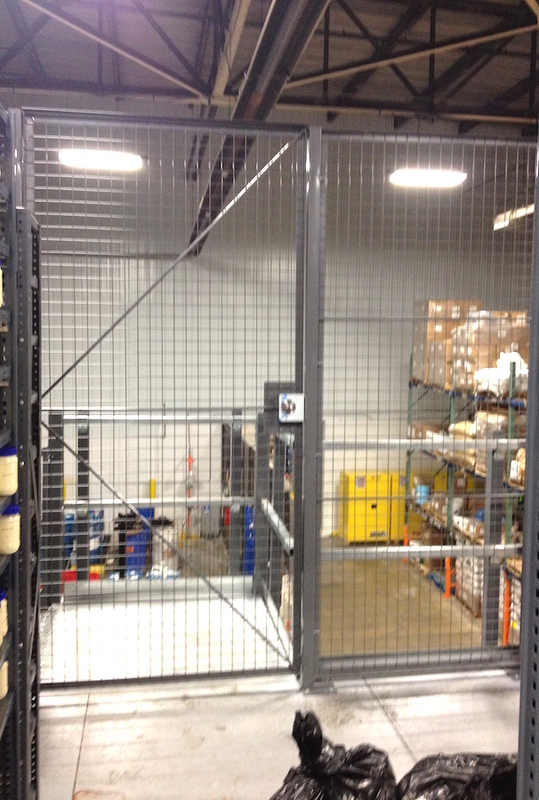 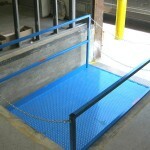 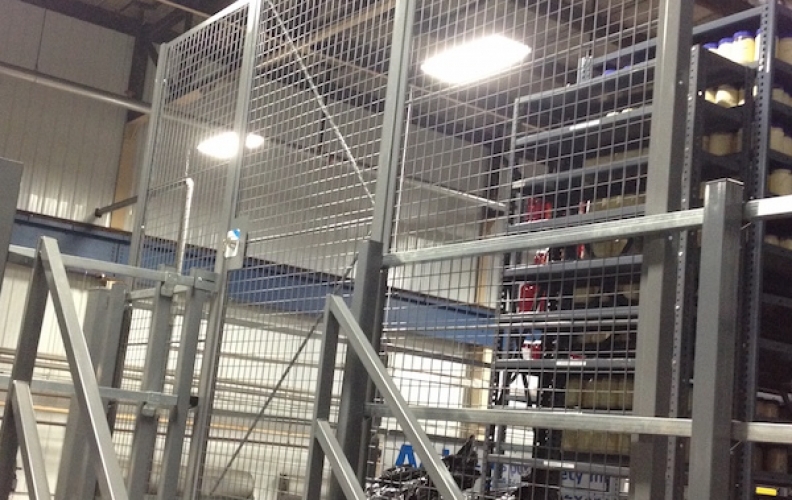 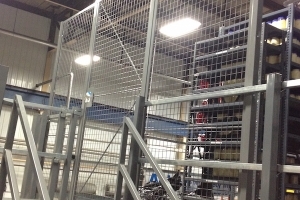 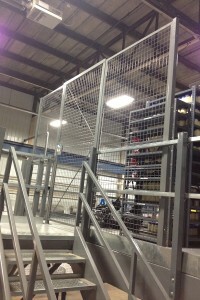 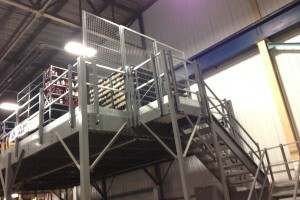 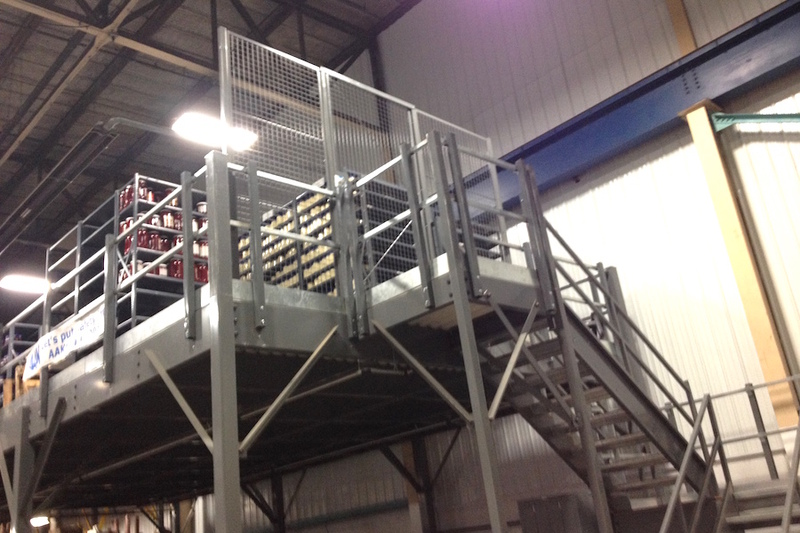 Grace Material Handling helped Oasis Foods secure the new mezzanine level by enclosing the top of the stairs with Cogan security wire partition to prevent any unauthorized personnel to enter the secured area. 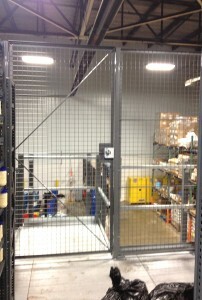 With the help of Cogan, Grace Material Handling designed a locked security gate along with an 8’ high wire partition around the top of the stairs to the satisfaction of Oasis Foods.